What are potential Japanese reactions to North Korea’s nuclear threat? Herman Kahn warned that policymakers should guard against their tendency to equate ‘unpleasant’ to ‘impossible’ scenarios in the age of nuclear war. When it comes to the matter of security and defence, South Korea must prepare for all eventualities including unpleasant but not impossible scenarios. One such eventuality is North Korea’s nuclear threat on Japan. We seek to answer the following two questions – can Japan hold its ground when actually faced with North Korea’s nuclear threat? What could be some possible and probable Japanese reactions to this kind of threat? We explore Japan’s vulnerability to North Korea’s threat of nuclear blackmail and its possible reaction or lack of reaction. It may not be a foregone conclusion that Japan can hold its ground should there be another Korean War. Japan’s contributions are of paramount importance in enhancing the fighting capability of ROK-U.S. combined forces. The U.S. Air Force bases in Japan can be used to launch direct attacks on North Korea, and speedily transport additional U.S. Marines to reinforce the U.S. Eighth Army based in Korea. U.S. naval vessels stationed in Japan can hunt down North Korean submarines as well as bringing in more troops and vital supplies. Japan serves a critical function of providing logistics support to U.S. naval vessels and minesweeping operation. However, when Japan is severely threatened by North Korea’s nuclear weapons, one cannot rule out the possibility that it may be difficult to fulfill its defence obligation. It is assumed throughout this study that North Korea has crude but functioning nuclear weapons and delivery vehicles, and that North Korea will exploit the weapons’ full potential in the event of another war on the Korean Peninsula. The use of a North Korea’s nuclear weapon can be classified into four categories on the basis of its target destination. This can be either 1) in Korea, or 2) in Japan, or 3) in the U.S., or 4) the U.S. ocean convoys nearing the coast of South Korea. As there are research studies on case (1), we have focused on case (2) instead for the reasons given in section ‘Why targeting Japan?’ and drawn some implications. North Korea has carried out six test launches of its new Musudan Intermediate-Range Ballistic Missile, also known as Hwasong-10, since April 2016. After repeated failure, it reached an altitude of nearly 900 miles testing the structural integrity and heat-resistance capability of its warhead. The missile was launched at an estimated angle of 78~80 degree and landed in targeted waters 250 miles away. North Korea is considered to have successfully tested a missile which can be converted into an Inter-Continental Ballistic Missile. Since then, one Scud and two No Dong-1 missiles were test-fired as part of war drill simulating pre-emptive attacks on South Korean ports and airfields hosting U.S. forces. Furthermore, three Scud missiles and a SLBM (Submarine Launched Ballistic Missile) were fired into East Sea in separate incidents. This time the SLBM flew about 300 miles showing progress. These tests took place shortly after the decision to deploy a THAAD (Terminal High Altitude Area Defense) missile defence system in South Korea. The latest incident took place when three more Scud missiles were fired into East Sea during the G20 summit in Hangzhou, China. The test-firing of missiles, in defiance against UN sanctions, evidently shows how eager North Korea is to perfect the ballistic missile technology capable of mounting a nuclear warhead and to demonstrate to the world outside, especially the U.S., that it be treated as a nuclear weapons state. Fig. 1 shows the estimated ranges of North Korea’s ballistic missiles. The modern version of Anti-Ballistic Missile Defence System cannot provide complete protections against incoming missiles. There is no foolproof system, and people shouldn’t be misled into thinking that there are. SM-3 and PAC-3 missiles provide midcourse-phase and terminal-phase ballistic missile defence respectively. The purpose of having these layers of defence is to intercept as many incoming enemy missiles as possible in the early stages of their flights, and hopefully there won’t be any left after the last layer. It increases the overall hit/kill ratio. There have been successful interceptions of test targets by these missiles, but these records do not automatically prove their reliability.6 These tests carried out from a sanitized testing site may bear little resemblance to the real battlefield conditions under stress and confusion.7 There can be a variety of system malfunctions that could occur including, for example, software glitches, human fatigues and errors, component failures, adverse weather conditions and unpredictable behaviours of incoming missiles (e.g., a velocity exceedingly higher than expected8 or unpredictable motions during re-entry). In the Gulf War of 1991, Scud missiles broke up in mid-air causing them to corkscrew instead of following the usual parabolic paths. Due to this unpredictable behaviour, the Patriot-2 Missile System failed to intercept 28 of 29 Scuds even though it had successfully intercepted 6 targets on a test range.9 An Anti-Ballistic missile with the battle-proven kill probability of 80% can increase its chance of a kill to 96% by firing two missiles in succession, but it could never quite reach a perfect 100% no matter how many missiles can be operationally fired unless, of course, each missile has the perfect kill probability of 100% to begin with. This is discounted for various reasons given, and hence a fraction of its missiles fired in salvo could potentially breach the Anti-Ballistic Missile Defence System. Thus far, some technical issues and assumptions are elaborated on before discussing North Korea’s reasons to target Japan. We explore some of the reasons why North Korea would target Japan. First, the Japan-U.S. Security Treaty obligates both Japan and the U.S. to assist each other to maintain the peace and security in the Far East. In the event of another war on the Korean Peninsula, Japan, in accordance with the Japan-U.S. security Treaty, should allow the use of several U.S. bases on its territory for the conduct of military operations.10 In doing so, Japan can become a natural target for providing the U.S. with launch pads for attacks on North Korea. Second, Japan offers civilian and military targets such as the U.S. base in Okinawa which all fall in the range of North Korea’s ballistic missiles. North Koreans could be led to believe that ‘threatening’ to destroy these targets might give them a strong strategic advantage of coercing Japan and perhaps convincing the U.S. to disengage completely from the defence of South Korea. Third, Japan is a much less formidable military power than the U.S. and critically not a nuclear weapons state. Hence, it is considered to be more susceptible to nuclear blackmail than the U.S. It may also entail less risk than directly challenging the U.S. There can be many triggers of war, but one often-discussed possibility is raids by North Korean troops to capture five South Korean islands near the western sea border. This can easily erupt into a full-scale war. Assuming the war spills over to Japan in the early phase11, the U.S. and Japan should have contingencies in place to defend Japan from various types of missiles attacks. Their Anti-Ballistic Missile Defence System will be tested, and they must intercept as many incoming North Korean ballistic missiles as possible. Not only can North Korea threaten Japan to stop providing logistics support to the U.S. military operations, but it can also coerce the U.S. to accept North Korea’s demand by potentially holding Japan hostage. North Korea can hold Japan directly responsible for any deployment of U.S. troops to South Korea from its U.S. bases. But Japan is unlikely to be coerced, which means that North Korea and Japan are on a collision course. North Korea has to force Japan into thinking that the costs of intervention in the Korean War North Korea can inflict far outweigh the perceived benefits Japan can gain from the intervention. North Korea also has to anticipate Japan and U.S.’s counteractions prior to making any threat. Japan and the U.S. can counter North Korea’s threat with a devastating retaliatory attack, for instance, an order of magnitude bigger (e.g., for every single North Korean ballistic missiles fired on Japan, they can threaten to fire back ten ballistic missiles). Similarly, North Korea has to be convinced that the costs of its attacks on the Japanese mainland Japan and the U.S. can inflict far outweigh the perceived benefits North Korea can gain from these attacks. Japan and the U.S. have to anticipate the consequences of North Korea’s counteractions prior to making any threat. How might each side convince the other that it is dead serious in its threat? Is escalation inevitable? How far is each side determined to climb up the escalation ladder? How might each side convince the other that it is dead serious in its threat? North Korea can probe the limits of Japanese tolerance levels in a series of missile threats with increasing intensity. It can threaten to take a military action, and then, implement that action consequently if demands are not met. In this way North Korea can demonstrate that its threats are not bluff and bluster. A nuclear threat will prompt the U.S. to come up with countermeasures which include a pre-emptive use of nuclear weapons. This is consistent with Nuclear Employment Strategy of the United States which explicitly mentions the use of nuclear weapons in extreme circumstances to defend the vital interests of the United States, or its Allies and partners. Thomas Schelling has pointed out the danger of overreaction by each side in times of super alertness. He has coined the term ‘the reciprocal fear of surprise attack’12 where each side imputes to the other aggressive intentions and excessively misinterprets the other’s intention. This could set off a disastrous chain of actions and counteractions. In a nuclear confrontation, the consequences could be dire and unimaginable for both sides. It is important to keep the channels of communication open to reduce this danger. North Korea may try to control escalation as illustrated in the following example. It can start off with a verbal threat and then decide to launch twenty No-Dong 1 missiles with conventional warheads into non-urban areas in Japan to avoid fatalities in the early phase of the war. If the Anti-Ballistic Missile Defence System can take out 80% of these missiles, four missiles will still hit their targets. North Korea can ratchet up the pressure on Japan by shifting next target to urban areas. These attacks can potentially result in the deaths of hundreds of civilians. There could be further attacks of this type with increasing intensity which can be simply achieved by firing an increasing number of missiles into a progressively wider area. Gradually, moving higher up the escalation ladder, there could be a full but non-lethal demonstration of a nuclear bomb explosion at high altitude off the coast of Japan with further nuclear blackmail to target a small Japanese town X.13 This calls for the U.S. to seriously consider the option of using nuclear weapons, but it’s not clear what an appropriate response would be to counter this show of force. Perhaps a similar display of nuclear readiness off the coast of North Korea would suffice to deter North Korea from taking the escalation to the next level which includes an unthinkable nuclear attack on X. One can envisage efforts being made to seek a compromise to avert starting a nuclear war including a cessation of hostilities between all parties. This may have adverse consequences for South Korea and its interest can be compromised. Alternatively, continuing the war only with conventional weapons may not be a viable option for North Korea as it will be at a disadvantage and face almost certain defeat in the end. To overcome defeat, North Korea has to take much greater risks in the execution of war than the U.S., and might push the escalation to the next level by launching a nuclear attack on X. It can easily result in deaths exceeding 2,500 civilians. This is a very low probability event which, nevertheless, cannot be completely ruled out. The rationale behind this unthinkable attack is that North Korea can adopt a post-attack coercion in order to deter any major U.S. retaliation. As long as Japan faces a real risk of further nuclear attacks, this time on its major cities, the U.S. needs to think over carefully about its next move. Its response could well be restrained because, besides Japan, North Korea can also include Seoul and other major cities in South Korea and ROK-U.S. troops on the ground in the target list. The basis of this reasoning hinges on the retention of a North Korea’s second strike capability. This means that North Korea still retains the capacity to simultaneously launch perhaps 30 or more nuclear missiles after being retaliated. Therefore, the critical issue for the U.S. is that it has the enough capability to reduce the risk of a North Korea’s successful second nuclear strike to a level South Korean and Japanese people will find acceptable, and that the U.S. will not be inhibited from launching even massive retaliation. Hence, North Korea dare not launch any nuclear attack – like on X – in the first place. The threat that the U.S. will not be inhibited from launching this kind of retaliation has to be credible to North Koreans.14 An example on credibility includes a defending side which makes an irrevocable commitment by ‘burning bridges’ and, hence, demonstrating its willingness to fight to the last man. This is clearly seen as a credible action by the enemy. All these scenarios can take place in a short span of time of less than a week. It is also noted that the term ‘massive retaliation’ is interpreted to mean negating North Korea’s nuclear weapons and bringing a quick end to the war by all means available including the use of nuclear weapons. It does not mean the disproportionate use of nuclear weapons. If the same objective can be met with non-nuclear strike options, these options are much more preferable. How far is each side determined to climb up the escalation ladder? Could the U.S. really retaliate in this way and be confident of its ability to protect major cities in South Korea and Japan from the second nuclear strike? To be credible, either the U.S. should be able to do so, or else the U.S., South Korea and Japan jointly risk sacrificing some of the major cities in South Korea and Japan. It is unclear how the leaders of all three countries with perhaps different priorities and conflicting interests can come to a quick decision. It would also depend on their risk-taking behaviour. In any event, the decision to launch massive retaliation would depend on many factors. To list a few, this includes the latest assessment of North Korea’s remaining number of nuclear warheads, ballistic missiles, and launchers as well as how effectively these weapons and equipment might be eliminated in retaliation using either conventional or nuclear weapons.15 If a proportion cannot be eliminated, it must be estimated what impact this would have on South Korea, Japan and the U.S. as a consequence. Unfortunately, we may not even know exactly how many nuclear weapons, presumably well dispersed and hidden, are there to be eliminated in the first place. This known unknown is to North Korea’s advantage and the possibility of nuclear weapons stored in unsuspected sites cannot be ruled out. Despite these difficulties, all efforts should be made to establish as early and accurately as possible whereabouts of North Korea’s nuclear weapons. Focusing on the robustness of Anti-Ballistic Missile Defence capability in Japan, Jaganath Sankaran and Brian Fearey of Los Alamos National Laboratory considered the East Asian Joint Missile Defence System deployed by the U.S. and Japan to be very effective in defending Japan against today’s threats posed by North Korea, but they also pointed out the inadequacy of the System against a large number of missiles.16 Technically, it only takes approximately 5~13 minute flight time for a missile to reach a target in Japan from Musuan-ri, North Korea. Its short flight time only adds to the pressure on defensive measures increasing Japan’s vulnerability. Let us digress a little on the vulnerability of South Korea and Japan from nuclear attacks. There are 10 modern cities in South Korea17 and 13 in Japan18 with over a million inhabitants each. Pyongyang is the only city in North Korea that has more than a million inhabitants. The populations of Seoul, Tokyo and Pyongyang are estimated to be at around 10 million, 13.2 million and only 2.8 million. For the basic unit area of km2 there are, on average, 16,566, 6,038 and 1,639 people living in Seoul, Tokyo and Pyongyang respectively in 2015. This means that there are 10 times and 3.6 times as many people living in a given area of Seoul and Tokyo as that of Pyongyang assuming uniform population density throughout.19 Hence, more casualties per area would be expected in South Korea and Japan than in North Korea from an equivalent nuclear explosion. North Korea has much less to lose in the way of buildings, industrial base and infrastructure compared to those in South Korea or Japan. As long as Seoul or Tokyo is exposed to a retaliatory nuclear strike, our options are very limited. Furthermore, the brutal regime has already demonstrated that it is quite capable of letting 600,000~2.5 million people die of hunger during the great famine of the 1990s. It couldn’t care less about the deaths of its own people so long as the regime can survive. This certainly isn’t true for democratic countries like South Korea and Japan. It certainly is not in our interest to have a nuclear exchange of any form when so much is at stake. It is fair to assume that the U.S. will not use its nuclear weapons unless it absolutely has to. The U.S. will certainly consider using these weapons if the U.S. or its allies are nuclear attacked or about to be nuclear attacked. In what manner could the U.S. nuclear weapons be used? North Korea’s nuclear attack on X would have crossed the ‘red line.’ The report on Nuclear Employment Strategy of the United States explicitly says, “The new guidance makes clear that all plans must also be consistent with the fundamental principles of distinction and proportionality…” The report also says, “The United States will not intentionally target civilian populations or civilian objects.”20 Its nuclear retaliation, if carried out, would be directed against North Korea’s military and not civilian targets. However, one can envisage a situation in which clear distinctions between military and civilian targets may not be possible. Lately, many are calling for ‘no first use’ or ‘sole purpose use’ doctrine in the U.S. The pros and cons of these doctrines will be hotly debated, but when North Korea is openly threatening to turn Seoul and Washington into “a heap of ashes through a Korean-style pre-emptive nuclear strike,” enunciating these doctrines will do little to reassure South Korea and Japan. The question of whether to respond with massive retaliation or not is likely to keep arising. Some strategists support this response and firmly believe it is the only response. However, decision-makers need to think carefully about this most difficult question. It will require a sound, rational and prudent judgment. There is another important factor that needs to be taken into consideration when decision-making, namely, Japanese reaction. It is not clear how Japanese people would, for instance, respond to the full-demonstration of North Korea’s nuclear bomb explosion off the coast of Japan, and one can only make an educated guess on psychological impacts this demonstration would have on their thinking. Wouldn’t many Japanese be inclined to ask, ‘Why do we get involved and put ourselves in harm’s way?’ given the lukewarm relationship21 between South Korea and Japan in the past and the choice of staying out of harm’s way. After all, another Korean War would be seen as someone else’s war. It is perhaps likely that Japan’s involvement would continue unhindered when attacked with conventional warheads, but there must be a limit to how much Japan would be prepared to tolerate. When the perceived level of damage North Korea can inflict is much greater than its tolerance level as in the case of a nuclear strike, one cannot rule out the possibility of Japan withdrawing its logistics support to the U.S. military operations. When actually faced with the real prospect of a nuclear strike on its major cities,22 the stakes are simply too high for decision-makers in both Tokyo and Washington to gamble with. A simple calculation shows that well over 30,000 civilians within a radius of 1,800m from a point of a 10Kt ground burst detonation in Tokyo will be killed by thermal radiation alone. This death count only includes civilians in the open with the assumption that half the civilians within the radius were out in the open at the time of detonation. Now, the decision-makers may face a difficult question like: “Is a 20% probability of Tokyo being hit low enough to take the chance and press ahead with massive retaliation?” Again, this would depend on such factors as decision-makers’ risk-taking behaviour and the consequences of non-action. However, when too many lives are hanging in the balance, it is not far-fetched to think that Japan and the U.S. would consider seeking a compromise out of necessity and not lack of resolve. The need to avoid an exchange of nuclear weapons only reinforces this view. This least-worst option from the U.S. perspective could potentially have negative implications to the security of South Korea. Alternatively, decision-makers can take the chance and press ahead with massive retaliation. This will certainly be the end of North Korea as a state. All past efforts to stop North Korea’s nuclear program have been in vain. It is quite clear that North Korea never had any intention of abandoning its nuclear program from the very beginning. With each nuclear test, North Korea is a step closer to perfecting nuclear weapons technology. The development and testing of a Submarine Launched Ballistic Missile23 and a solid fuel rocket engine can only add to South Koreans’ feeling of insecurity. In a time of crisis, Japan is vital to South Korea’s interests but Japan’s readiness in facing up to the challenges of any future North Korean aggression is still questionable despite Japan’s continuous efforts to seek a more prominent role in defence and security of East Asia and even closer security ties with the U.S. The issue of ‘security’ must be at the top of the agenda between South Korea and Japan. As both countries face growing threat from North Korea, South Korea and Japan must bolster their bilateral defence and security cooperation. Beefing up the Anti-Ballistic Missile Defence System capability is an inevitable and logical consequence in order to protect both countries from a potential nuclear strike. It is an existential problem for South Korea and improving its Anti-Ballistic Missile Defence System capability will still only provide minimum protection. There have been calls from some quarters that South Korea should consider developing its own nuclear deterrent capability. This is an indication that the U.S. nuclear umbrella is not perceived as being robust as it should be in some quarters. These include military experts. The U.S. must shoulder the primary responsibility for re-assuring its allies of the robustness of its nuclear umbrella and address the root causes of these calls. Otherwise, the issue of the need to possess South Korea’s own nuclear deterrent capability will continue to be raised with the maturing North Korea’s nuclear program. It is vital that the trilateral security cooperation between South Korea, Japan and the U.S. be strengthened to counter any future North Korean aggressions. Our collective readiness in facing up to these challenges should not be left in doubt. 1.A yield of 10~50 kilotons (1 kilo ton = 1,000 tons of TNT). 2.Wit, Joel. S. and Ahn, Sun Young. North Korea’s Nuclear Futures: Technology and Strategy, US-Korea Institute at SAIS, 2015. These are baseline estimates. 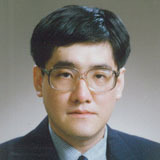 3.Kosuke Takahashi. U.S. Defense report casts doubt on reliability of N. Korea missile tech, 2014. 4.CEP: Circular Error Probable is a radius around the target within which half the missiles would be expected to arrive. 5.Bennett, Bruce. Uncertainties in the North Korean Nuclear Threat, RAND Corporation, 2010. 7.In his book ‘On Thermonuclear War,’ Herman Kahn gives an example of how misleading the efficiency of the German anti-aircraft weapons turned out to be during World War II when they were estimated to have the theoretical kill probability of 0.25 (i.e., on the average, German would shoot down one plane every time they fired four rounds) and verified to be so at the proving grounds. In real situations, it turned out to be 0.0002 (i.e., one plane down for every 5,000 rounds). This appears to be a rather extreme case. 8.Bates, Brian and McHorney, Chris. Developing a Theoretical Model of Counter-Proliferation for the 21st Century, The Edwin Mellen Press, 2000. 9.Slayton, Rebecca. The Fallacy of Proven and Adaptable Defenses, FAS Public Interest Report, Vol. 67, No. 3, 2014. 10.Treaty of Mutual Cooperation and Security between the United States of America and Japan, Article VI, 1960. 11.This is when North Korea is on the offensive. 12.Schelling, Thomas. The Strategy of Conflict, Harvard University Press, Cambridge, 1980. 13.In terms of population, this is assumed to be ∼3,000. 14. The simplified game trees above in extensive form illustrate 2 scenarios. In case (a), Japan (U.S.) deters North Korea’s nuclear threat on Japan whereas in case (b), Japan (U.S.) does not. In (b), Japan (U.S.)’s defiance (‘Defy’) against North Korea’s nuclear threat on Japan will not be convincing as it will choose to concede in order to avoid a conflict which can potentially result in high human and economic costs. Once nuclear threatened, Japan’s rational choice is to ‘concede’ because (North Korea’s payoff, Japan’s payoff) = (5, 2) is the preferred outcome. There are two pure strategy Nash equilibriums in (b), namely, (No nuclear threat, Defy) circled in blue → ‘Status Quo’ and (Nuclear threat, Concede) circled in red → ‘Japan (U.S.) concedes.’ But only the second pair is a subgame perfect equilibrium fulfilling Zagare and Kilgour’s requirements of rational choice and, hence, ‘Japan (U.S.) concedes’ is the only rational outcome that follows the path of equilibrium. In (a), North Korea will remain ‘Status Quo’ as Japan (U.S.) has a credible threat in place to ‘Defy’ North Korea’s nuclear threat. This credible threat, including massive retaliation, deters North Korea from even contemplating the use of nuclear weapons. The strategy pair (No nuclear threat, Defy) circled in red is the only Nash equilibrium which is also subgame perfect. Hence, its outcome ‘Status Quo’ is rational and there is no other Nash equilibrium in pure strategy either subgame perfect or not. This analysis is based on the study by Quackenbush on general deterrence, but specifically considers North Korea’s nuclear threat. It is the credibility of ‘Defy’ circled yellow in (a) which is discussed above. Zagare and Kilgour insist on the presence of only credible threats in their Perfect Deterrence theory to avoid, for instance, making an irrational choice by Japan (U.S.) in (b). See Zagare, F. and Kilgour, M. Perfect Deterrence, Cambridge University Press, 2000 and Quackenbush, S. Understanding General Deterrence, Palgrave Macmillan 2011. 15.Resenau, William. The challenges the allied forces faced in hunting down the Scuds in the First Gulf War are described in Chapter 3 of the report “Special operations forces and elusive enemy ground targets,” RAND Corporation, 2002. 16.Sankaran, Jaganath and Fearey, Brian L. Deterring North Korea: An Examination of the East Asian Missile Defense Architecture, Los Alamos National Laboratory, 2015. 17.KOSIS, KOrean Statistical Information Service, 2015. 19.In fact, this will vary, for instance, by borough and the time and day of the week. 20.Report on Nuclear Employment Strategy of the United States Specified in Section 491 of 10 U.S.C. 21.According to a 2015 Pew Research Center Survey, only 25% of South Koreans have favourable views of Japan. The number is even lower with only 21% of Japanese have favourable views of South Korea. Spring 2015 Global Attitude Survey. Q12b, g, i, r. Pew Research Center. 22.This is after taking into consideration the effectiveness of the Anti-Ballistic Missile Defence Systems. 23.This will increase North Korea’s second strike capability. 김종우 박사는 아산정책연구원의 계량분석센터 선임연구위원이다. 런던대학교에서 이학학사와 임패리얼 컬리지에서 상대성이론 연구로 이학박사 학위를 취득하였으며 캠브리지대학교 컴퓨터학과에서 Diploma 학위도 취득하였다. 유럽 랜드연구소의 Choice Modelling과 Valuation팀에서 연구원으로 재직하였으며 삼성 메모리 반도체 연구소에서 책임연구원으로 활동하였다. 또한 영국의 PCMS-Datafit에서 Java 소프트웨어 개발업무를 담당하였다. 주요 연구분야는 이산선택모델, 그리고 교통, 보건, 통신 및 유틸리티 분야의 Stated Preference 모델 개발, 공공 서비스가치 책정, WTP (Willingness-To-Pay) 등이다. 주요 연구물로는 "Security at What Cost? Quantifying Individuals’ Trade-offs between Privacy, Liberty and Security,” RAND Report (2010)와 “Modelling Demand for Long-Distance Travellers in Great Britain: Stated preference surveys to support the modelling of demand for high speed rail”, RAND Report (2011)외 다수가 있다.